Exciting childcare for 0 to 12 years! Healthy, tasty food, including breakfast! We’re passionate about play and want your child to have a great time, learn new skills and make new friends. 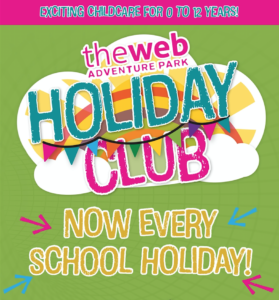 Our friendly Holiday Club Team will ensure that each child is welcomed and has a fantastic time, whatever their interests!